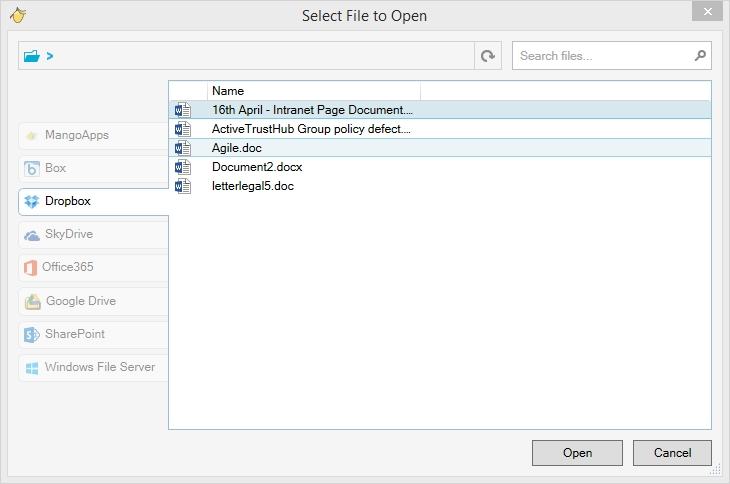 /Desktop - Windows & Mac Apps /How Can I Edit Files from Multiple Repositories in Mangoapps for Office? From your Office application, choose the “MangoApps” tab. Click on the “Open” icon on the MangoApps tool ribbon. Choose the repository from the list of choices then click the “Connect to Dropbox” (or similar) button if necessary. 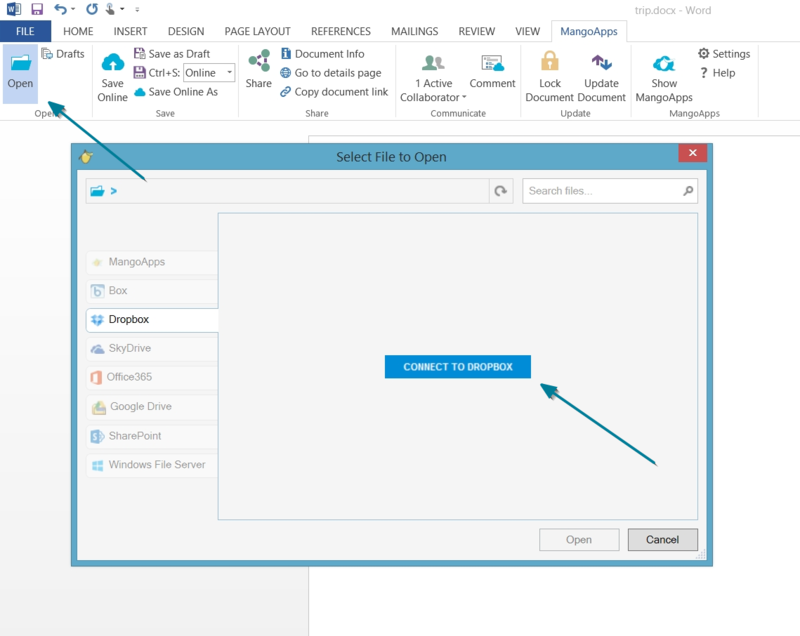 Navigate to the file that you want to open in Office, select it and click the “Open” button. Once the file is Opened, easily edit it in your Office application.